A first step to entering the FEDORA community and to benefit from FEDORA’s service portfolio. 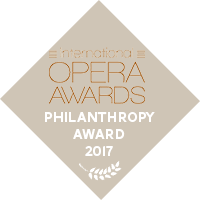 As a member of this category, you can benefit from FEDORA’s VIP- Ticket Service that gives you on demand access to performances at opera houses and festivals in Europe. This is the right membership category for you, if you wish that FEDORA creates on demand customised group packages for you and your guests at opera houses and festivals in Europe. As a Founding Member of FEDORA, you will have, in addition to the previous categories’ benefits, unlimited on demand access and full involvement in the FEDORA community, as your donation will support the organisation of the FEDORA Prizes competition.